BOSSES at a South Yorkshire council have removed a far-right councillor from the authority after he failed to attend regular meetings. John Gamble, who represented Brinsworth and Catcliffe, was elected in the seat for the British National Party in May 2008. But the 54-year-old, who later switched to the England First Party, has not attended for more than six months. During his time in office, he was able to claim £12,130 each year in allowances, the council said. Mr Gamble, who won his seat from then Labour Mayor Allan Jackson by 61 votes, was due for re-election next May. He switched from the BNP to the England First Party in June 2009 before joining the openly-racist National Front in March last year, giving the far-right party its first elected representative for 35 years. Announcing his second change of allegiance, Mr Gamble told The Star he had ‘jumped ship’ to the NF because he wanted to join a ‘more active’ organisation. He added: “I am not racist, but on the far right. But Mr Gamble lost his position on the council after a lack of attendance led to complaints from figures, including former Brinsworth Labour councillor Reg Littleboy. Mr Littleboy said: “He is also being reported to the standards committee for abusing staff. 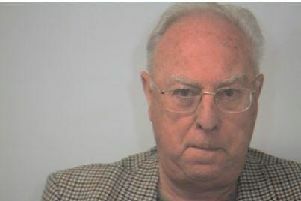 A Rotherham Council spokeswoman for the borough council confirmed that Mr Gamble had been automatically disqualified from the council under the 1972 Local Government Act for failing to attend any meetings for six months. She said: “The disqualification will be officially reported to council at its meeting next Wednesday and the vacancy publicised shortly after.